So it's no wonder that salespeople use every trick in the book to make their job a little easier – and that means using tools to navigate the lead management process. Our Global Sales Performance Review reveals how high performers conduct far more business on their mobiles compared to low performers. This shows that the best salespeople are always tracking sales and monitoring performance (even on the go) and integrating tools into their ways of working. How exactly can tools improve your lead management? 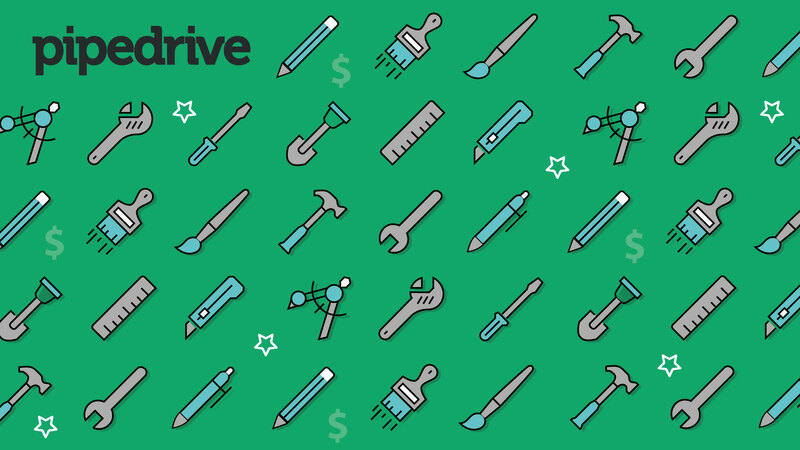 Pipedrive has assembled an exclusive panel of salespeople across various sectors, comprising of those who use tools and technology and those who prefer to use more old-school methods. The resulting discussions lift the lid on what can help or hinder sales teams' game plans. "We rely squarely on a non-hi-tech, simple textbook method for handling inbound leads. When a lead comes in, a salesperson enters the details in a quotation book – that generates a unique number and that follows the lead right until it gets turned into an order. We're managing just fine without CRM." But what are the downsides to this paper-centric approach? According to Daniel, Sales and Marketing Director at a prominent construction company, it's all well and good until the leads flood in from every direction. And then problems with identifying and qualifying leads really come to the fore. "Sometimes, we're overwhelmed and we must sort the wheat from the chaff, especially as a large part of our business is quoting for jobs." Scoring is a crucial part of the lead management process. You can use this to help you determine potential interest. This is where having a quality CRM tool really pays dividends. According to Michael, a Business Development Manager at one of the world's largest grocery store chains, a clear benefit can be derived from "leads being fed directly into our CRM and being able to filter them based on who they are and what purpose they need filling." "Especially with the larger clients, a centralized sales hub is fundamental for better performance. We have to win a relationship. Because by winning a relationship with a client, we'll get on-going work. And this is why we're looking to bring in CRM because we need access to that information and at the moment it's on a spreadsheet – and that's only as good as what we're updating." The CRM-devotees agree that using one ensures all your prospects' details are captured and made available to the entire team, so you can understand who the decision-makers are – vital for building a rapport. You would think that this key stage – where leads are distributed to the right personnel for handling – would be plain sailing using old-school methods. After all, this approach relies on knowing your sales team inside out. And that's something a CRM can't do, right? While some of the panelists agree, for others it's not such an open and shut case. "A salesperson was assigned a lead they were totally unsuited to. It created issues," says Benji, who doesn't use CRM. What's more, for those organizations looking to break into new markets, it seems having that extra level of know-how can be the deciding factor. For David, Business Development Director at a global art tools supplier, moving into the Chinese market required an inside track, which he found lacking. "There was a lot of confusion because we didn't understand how to deal with Chinese business practices. We lost a number of leads because the way we conducted ourselves didn't match the way they did." David agrees that a CRM's contacts function – which allows you to centrally store team members' skill sets – might have helped to iron out teething issues and made it far easier to assign personnel with China expertise. Being on top of your game when it comes to nurturing prospects is also key, as it guides your potential customers through the pipeline, while developing relationships. As Daniel found out, leads can slip through the net if not properly organized. "We have large fish and so many swarms of little fish at the other end that we can't possibly cope. Putting leads into an Excel spreadsheet doesn't work, it's too much for us to cope with." In his opinion, a CRM tool would organize leads in a way that ensures they are all followed up, with none slipping through the net. "When I first started out I made actual notes, so now I make everyone on my team make notes on their PDA when they're out and these then get uploaded to a report, which I read every week." When it comes to tracking and measuring leads, capturing each action and task is crucial. CRM-enthusiast Saul thinks using software and apps works well because they allow his team to set reminders to call people back. But he insists tools are only as good as the person applying them. "I've known people to not follow procedure, they decide to enter something in their own inimitable style, so when you search for something you can't find it because it hasn't been entered properly." And what does that mean for the whole tracking process? It starts with an ‘F' and ends with a ‘D'. Proof that tools and CRM are essential for underpinning the vital human touch. "Our forecasts aren't terribly accurate – we just try to do more the next month than the last." Fellow non-CRM user Daniel agrees it's very difficult to forecast in his current role, especially at the lower end of the scale. CRM can aid forecasting by allowing you to look back and see which sort of leads are successful, so you can forecast better, which reduces surprises at the end of the month. "You can sense in a way if it's going well or not with the customer. People often act on instinct when in sales, but judgement is just as important. You can have two leads that seem equal, but you'll have a sense which one would be more useful." And according to Benji, who doesn't use CRM, the key to sealing the deal is, and will always be, the human element. "Personally, I think it's harder for a customer to say no if you're sitting face-to-face with them." Once a deal is done and dusted, it's often the case that marketing and campaigns are evaluated to decide which are working and which ones need improving. For CRM-using Michael, it's simply a case of keeping everything under review throughout the process. Others on the panel agree that having a CRM greatly helps the evaluation process by allowing you to store and record key information, insights and completed tasks. We've seen how old-school methods can do the job. Up to a point. But where CRM steals a march in lead management are those times when better organization, centralized and easily accessible information storage, as well as effective tracking are called for. "Having instinct is important in sales, keeping human communication and tracking platforms up to date at all times, with as much information as possible."